These will probably be in a word problem. What is the factor of safety? The factor of safety is a ratio of how stable the slope is given soil characteristics and geometry of the slope (angle and height etc). 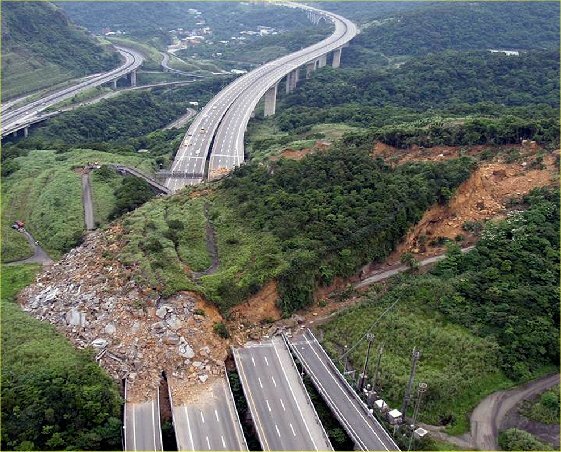 The methods of determining the factor of safety for slope stability are somewhat advanced. I think they will definitely appear on the depth exam but likely not on the breadth. I suggest knowing they exist and where they are (Ch 210 Goswami, 40-7 CERM). There are two main methods of soil classification: AASHTO, and the Unified Soil Classificaiton System (USCS). Both methods involve finding the appropriate soil class given some parameters like passing a certain sieve size, liquid limit, plastic limit, significant makeup, and other ratings. AASHTO classification returns an A-1 through A-8 rating. A-1 is the best all-round and A-8 is not really suitable for building. USCS classification returns a two-digit group symbol for the soil such as GW for gravelly well-graded, SM for silty sand, CL for low plasticity clay etc. You will need to be familiar with the sieve sizes (e.g. #200 allows up to 0.075 mm grains to pass) and how to determine what percent of the soil passes through that sieve, find the charts for this in your reference. Consolidation is a form of settlement where the air and liquids in a soil (the voids) are removed due to pressures acting on the soil. Consolidation can occur over a long period of time and can destroy structures if not address soon enough.